The Ceramic Arts Studio of Madison (CAS) produced decorative figurines, wall plaques, salt and pepper sets, and head vases from 1942 until its closing in 1956. Its ware was distributed nationally to stores such as Marshall Fields and Gumps. The company was originally formed in 1940 by Lawrence Rabbitt, a University of Wisconsin student who had received a WPA grant to research Wisconsin clay. 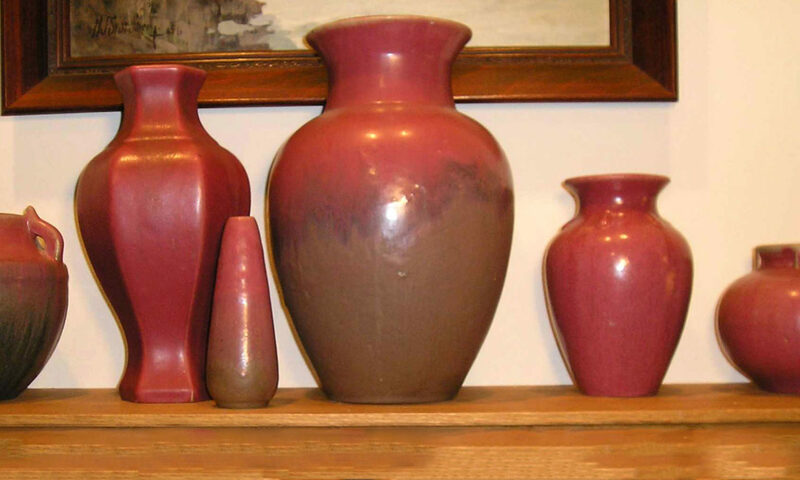 Rabbitt produced hand-thrown pottery that he sold locally in Madison. In January, 1941, Rabbitt went into partnership with another UW student, Reuben Sand. Sand undertook marketing and distribution of the firm’s products, produced primarily by Rabbitt. In 1942 Rabbit left the firm and Betty Harrington began modeling the figurines for which the firm is primarily known today. CAS figurines that originally sold for two or three dollars in the 1950s can now command hundreds of dollars in the collectibles market. CAS products are noted not only for their original stylings, but for their consistently high quality of workmanship and decoration. Produced in a single-firing, quality control was strict. At its most successful, CAS sold 250,000 figurines annually. Japanese imports in the 1950s eventually undercut the CAS market and led to the company’s demise. At this site, 8-12 North Blount Street, the Ceramic Arts Studio of Madison operated from 1940 until its closing in 1956. Founded by Lawrence Rabbitt and Reuben Sand, the company was one of the largest manufacturers of figurines in the world, distributing up to 500,000 pieces annually to better gift and department stores. The vases, figurines, and salt and pepper sets—designed chiefly by Betty Harrington—were known nationally for their great originality and consistently high standards of manufacture. In 1942, Betty Harrington visited the Ceramic Arts Studio and asked the owners to fire a figurine she had sculpted from clay found in her backyard. Recognizing her artistic talent, co-owner Reuben Sand refused a fee, but instead asked Harrington to model more figures. It was the beginning of Harrington’s career as a potter—in the next 14 years she designed more than 800 figurines for the company. Today Harrington’s designs are recognized for their originality and skillful modeling. In addition to nursery rhyme and storybook characters such as Peter Pan and Little Bo Peep, Harrington designed other themed series, including animals, religious, as well as ethnic figures in native costume. Among Harrington’s most celebrated designs are the “theater pieces”—so-called for the familiar Comedy and Tragedy figures of the series. The line was inspired by the modern dance movement of the 1940s, as exemplified by Martha Graham. A lifelong Wisconsin resident, Harrington designed and produced pottery–albeit on a limited basis–until her death in 1998. She designed and produced commemorative figurines available to attendees of the first Ceramic Arts Studio Collectors Association Convention in 1997. Harrington figurines can command high prices: a salt and pepper set Harrington designed for the Novelty Salt and Pepper Shaker Collectors Club was auctioned for $5,000 at their 1992 Convention. Ceramic Arts Studio: The Legacy of Betty Harrington by Donald-Brian Johnson, Tim Holthaus and Jim Petzold, is the first comprehensive look at the Studio and its principal designer. In addition to a complete visual depiction of virtually all pieces released by CAS. the book includes detailed information on the firm’s early years, as well as Betty Harrington’s artistic pursuits after its close. Vintage catalogs, ads, and original designs are included, as well as a current inventory/price guide. Completing the Studio picture are interviews with company owner Ruben Sand, early designer and co-founder Lawrence Rabbitt, Studio personnel, family members, and of course, Betty Harrington herself. While definitely a useful guide for today’s collectors, Ceramic Arts Studio: The Legacy of Betty Harrington is also an in-depth guide to the life of an artist. CAS Collectors Society – A group of people with a common interest in Ceramic Arts Studio. Ceramic Arts Studio: The Legacy of Betty Harrington – is the authoritative book by Tim Holthaus, Jim Petzold and Donald-Brian Johnson. Information about the book, the authors & a nice history of the pottery is available.